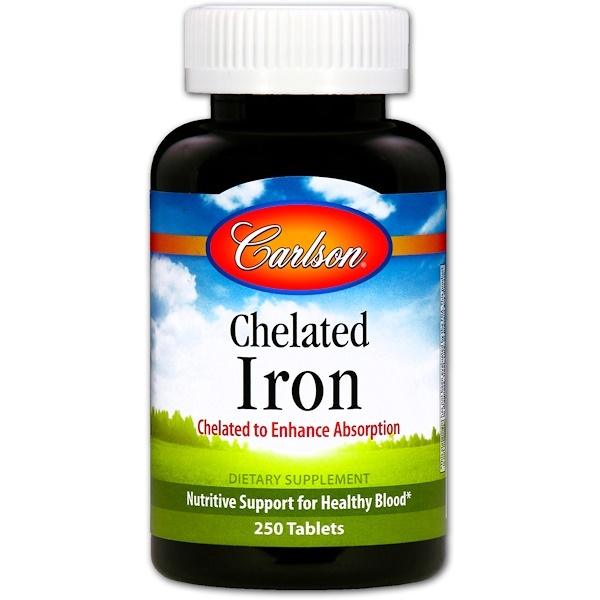 Carlson Chelated Iron is prepared to aid the absorption of iron. 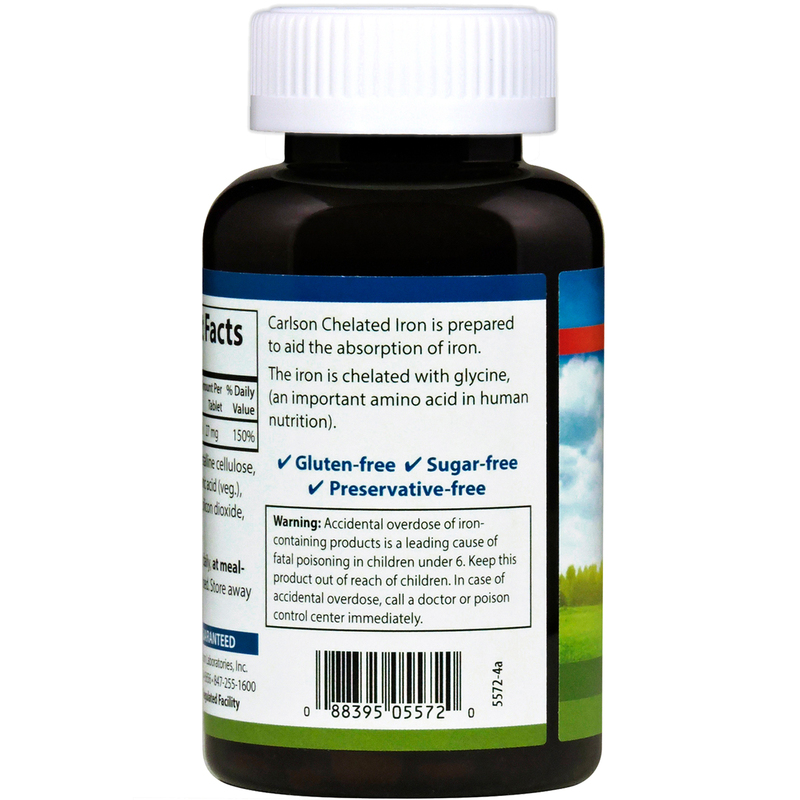 The iron is chelated with glycine, (an important amino acid in human nutrition). Microcrystalline cellulose, croscarmellose sodium, stearic acid (veg. 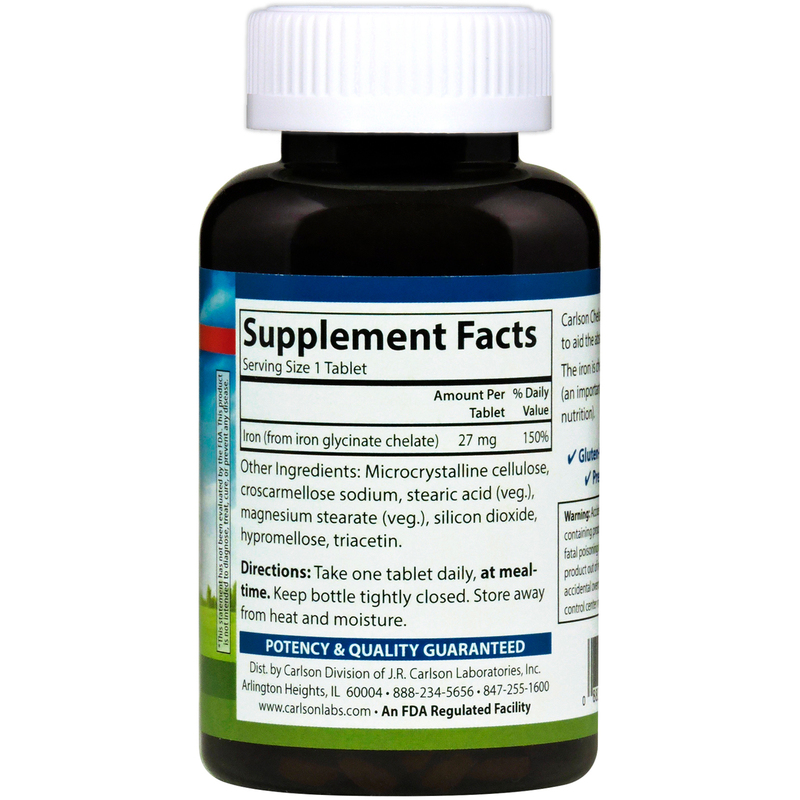 ), magnesium stearate (veg. ), silicon dioxide, hypromellose, triacetin.